[Q&A] i cant update my pLaystore apps on mi 8 pro, what shouLd i do? [Discussion] Explore the way to unlock your phone by touching the screen! 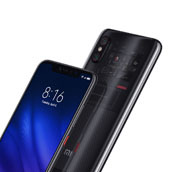 [Discussion] Find the surprises on the back of Mi 8 Pro! [Discussion] What do you want to write on the back of Mi 8 Pro? [Discussion] Mi 8 Pro: Check the amazing features on the smartphone of the future! [Discussion] Look inside Mi 8 Pro! Do you like the transparent design? [Announcements] Mi 8 Pro, the smartphone of the future will be arriving tomorrow!